I feel like, with all of the social media hype and latest marketing strategies out there, we tend to get overwhelmed and lose sight on what really matters when you are trying to fill-up your retreat. There are two important elements to successfully promote and sell-out your retreat. The way we feel about marketing also has to do with our own experience being “sold to” in the past. The pushy car-sales guy or the automated spam call at 7 pm (leave me alone!). But we don’t have to be the car-sales-guy or sound like a automated machine. Not at all. All we need to do is be ourselves, and believe that what we have to offer is of value and will serve our ideal students. That's what honest, mindful and authentic marketing is all about. That simple, friend. When I help my yoga teacher clients with their retreat marketing, I always start with the importance of reframing the mindset around marketing so that it feels good. Marketing NEEDS to feel good to YOU first and foremost. If you feel “yucky” or if you feel unsure about it, how are you supposed to convince others to join your retreat? You won't sound very convincing. 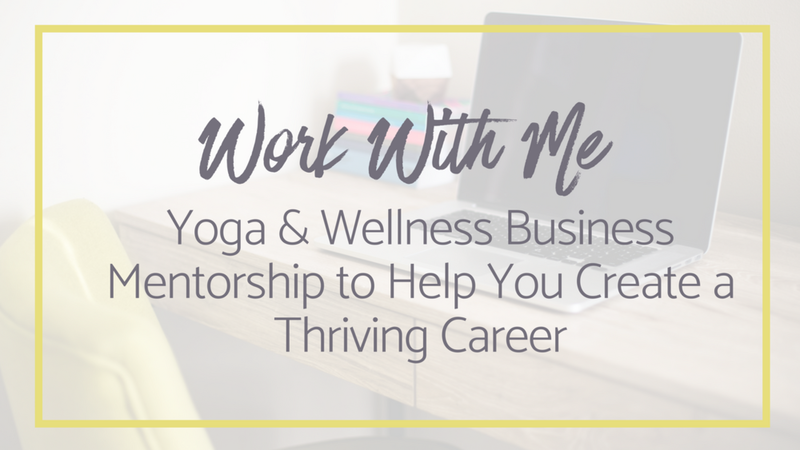 Shifting your mindset is also knowing that you can bring in your yoga values into everything that you do in your business, especially marketing, to stay in alignment and feel confident about inviting people to join you. It can be as simple as shifting your idea of marketing to the action of “inviting” instead of "selling." That’s really what we are doing, so why not switch out the words so that they feel more aligned with us. I recommend journaling around your marketing mindset to identify what comes up and why if you are having trouble feeling good about promoting your retreat. Then talk it over with a trusted friend, coach or mentor to help you get a different perspective. The truth is MINDSET is key in your business. It can either work in your favor, and help you feel empowered, or against you as it can truly hold you back. Now, we also need to meet that mindset shift with practical action. With that I mean, having a clear marketing plan and putting that in motion confidently. Most teachers I work with also struggle with creating a marketing plan that will help them fill-up their retreat. I had a hard time with this too in the very beginning. But I learned along the way, not only from experience running retreats, but also from taking many business and marketing trainings. So what do you need to think about when creating a marketing plan for your yoga retreat? This is what gives you the big picture and where you can get clarity about your overall marketing strategy. If you wing-it as you go, you risk getting overwhelmed and confused about why things are not working out and wanting to throw in the (yoga) towel. I teach my clients that there are 5 clear phases of a retreat marketing plan and that each phase is unique and thus require different marketing strategies. Because each marketing phase is unique, you’ll need to understand what strategies will work best depending on what phase your promotional timeline you are looking at. The key here is to KEEP IT SIMPLE. Don't try too many strategies at once. Work with the resources and tools you already have. Personal one-on-one connection trumps social media strategies when it comes to selling your retreats (this should be a relief to most of us!). Troubleshoot as you go and learn how to tweak or shift when necessary (without jumping the gun too soon). Take into consideration who your ideal students are and how to best reach them and communicate with them. This is key to ANY marketing strategy; understanding who you are "talking to." It goes without saying that you need to assign a marketing budget (as part of your retreat expenses) so that you have some freedom to be creative. It can be as simple as a budget for printing flyers, to running ads on Google, Instagram or Facebook or hiring a marketing consultant or staff to help you promote. You also want to make sure your retreat budget clearly reflects any promotions or discounts you will be using as marketing strategies so that there are no surprises at the end. Last but not least, your marketing plan should include a well-thought-out goal of how many students you need to make your retreat a success. You want to break down your marketing goals into smaller more manageable milestones that are in line with your 5 marketing phases. Now I'd love to hear from you! What part of your marketing do you need the most help with? Let me know in the comments below! Need help with marketing your retreat? Learn more about our Retreat Strategy Consulting Sessions.